Genres of Middle Eastern Music Used in Belly Dancing. Egyptian Shaabi Music and Song. By Dr. Hisham el-Agamy. Placed online September 16, 2018. Demystifying Muwashshahat. By Rachael Borek. An Introduction for Dancers to Middle Eastern Music Rhythms. By Arabella. Why Is Arabic Music So Confusing?. By Arabella. Introduction: Medieval Definitions of Tarab. Translated by Dr. George Dmitri Sawa. Part 1: The Essence of Tarab. By Dr. George Dmitri Sawa. Part 2: Tarab: Three Examples of Musical Pieces. By Dr. George Dmitri Sawa. Part 3: Tarab: When Music and Dance Unite. By Dr. George Dmitri Sawa. Part 4: Tarab: Pulling It all Together. By Dr. George Dmitri Sawa. The Ecstasy of Tarab. By Sahra Kent. Al-Fārābī's Classification of Musical Instruments. Translated by Dr. George Dmitri Sawa. Introduction to Greek Laiko / Rebetiko Music. By Panayiota Bakis Moheiddin. Mejance: the Egyptian-Style Raqs Sharqi Entrance Music. By Shira. ABOUT THE PHOTO: Dr. George Sawa wears historical garb typical of Egyptian musicians in the past, holding his qanoun on his lap. He is the author of most of the tarab and music history articles on this web site. The Liver in Egyptian Song and Language. By Priscilla Adum. The Language of Dance. By Shira. Introduction to Understanding Arabic Song Translations. By Osama el-Gohary. Are You Sure You Want to Belly Dance to That Song? Dakhlet el-Awalem. By Dr. George Sawa. Egyptian tarab music written for dance performance. Lamma Bada Yatathanna. By Dr. George Sawa. Egyptian tarab music written for dance performance. Raqset el-Hawanem. By Dr. George Sawa. Egyptian tarab music written for dance performance. Set El Hosen: Prettiest of the Pretty. Written by Priscilla Adum. Streets of Cairo ("There's a Place in France" - That "Snake Charmer" Song). By Shira. Ya Baheya! The Woman Behind the Songs. Written by Priscilla Adum. Ya Mustapha! A Song Conquers the World! By Meissoun. Never on Sunday: The Movie and Its Hit Song. Introduction to Greek Laiko / Rebetiko Music. Google Doodles Honoring Legends of Egyptian Music. Iman El Bahr Darwish Elected to Head Musicians' Union in Egypt, July 2011. Translated by Priscilla Adum. Composers of Music in the Arab World: Who Composed What? Over 100 composers, 500 songs. 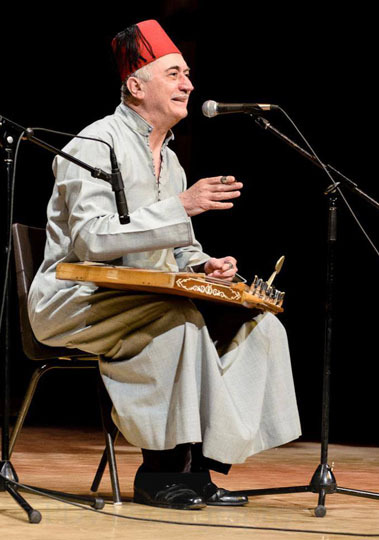 Music from the Arab World: Composers & Original Artists. Over 140 composers, over 530 songs. Alphabetized by song title. Greek Music: Composers and Original Artists. Dina Says Farewell to Warda. Translated by Priscilla Adum. Added August 4, 2018. Where to Celebrate the Musical Legacy of Oum Kalthoum in Cairo, Egypt. Museum, cafes, and statues. Placed online May 31, 2018. Mazaher Ensemble: The Zar Musicians. The performers at Makan theater. Placed online April 15, 2018. Rango Band at El Dammah Theater. Nubian musicians performing with a rango (type of instrument). Placed online April 4, 2018. PHOTO CREDIT: The musician in the foreground is Moussa Qenawi, playing a rebaba. The band are the Musicians of the Nile. Photo by Shira, taken in Egypt. Christmas Songs in Arabic. By Linda Grondahl. Opinion Poll: Favorite Style of Music for Dancing? Not Only Books... You Can't Judge a Tape or CD By Its Cover! By Arabella. A Nada (Oh, Nada). Sung by Sabah and George Abdo. This page contains two translations done by two different people. A'Aleem Ilaah (God Knows). Sung by Simone Hadsheiti. Aba'ad (Far Away). Sung by Mohammed Abdu. Aba'ad wa Ansak (Go Away and I Will Forget You). Sung by Tamer Seif. Abo A'ali (Father of Ali). Sung by Gawaher. Abu Ouyoun Garea (The One With the Brave Eyes). Sung by Abdel Halim Hafez. Ah Wa Noss (Ah and a Half). Sung by Nancy Ajram. Ah Ya Zalem (O Oppressor). Sung by Gawaher. Ahl El Maghna (The Family of Singers). Sung by Fella. Ahmed Ya Habibi (Ahmed, My Loved One). Ahsan Nas (The Nicest People). Sung by Dalida, Mahmoud el Esseilly, and Haytham Said. Akhasmak, Ah (I Will Upset You). Sung by Nancy Ajram. Al Bab al-A'ali (Al Baki Alay) (Enter the High Gate). Sung by Katia Harb. Al Ward Gamil (Roses Are Beautiful). Sung by Oum Kalthoum. Ala Babi Waef Amarain (Two Moons Are Standing At My Door). Sung by Melhem Barakat. Ala Dalouna (Help Us). Recorded by Fairuz, Tony Kiwan, and others. Ala Hasb Wedad Albi (It All Depends On My Heart). Sung by Abdel Halim Hafez. Alf Leyla wa Leyla (1001 Nights). Sung by Oum Kalthoum. Alli Garra (About the Past). Sung by Asala Nasri and Saber el Reba. Am Fettesha El Gharous (I'm Searching For A Bride). Sung by Emad Sayyah. Amarain (Two Moons). Sung by Amr Diab. This is an entirely different song from the one titled "Amarain" by Hassan Asmar. Amarain (Two Moons). Sung by Hassan Asmar. This is an entirely different song from the one titled "Amarain" by Amr Diab. Ammouna fi al-Said (Ammouna from the Said). Sung by Bassem Yazbeck. Amriika (America). Sung by Shaban Abdel Rehim. Ana 3indi Ahwai Morra (I Have Sour Arabian Coffee). Sung by Darine Hadchiti. Ana A'arfa (I Know). Sung by Warda. Ana A'Ayesh (I Am Alive). Sung by Amr Diab. Ana Baddi 3eish (I Want to Live). Sung by Nawal al-Zoughbi. Ana fi Inta Zarak (I'm Waiting for You). Sung by Oum Kalthoum. Ana Hina Ya Ibn il-Halal (I Am Here, O Legal Son). Sung by Sayed Mekawi. Ana Laka (I Am for You). Sung by Gawaher. Ana Lamma Ib-Hibbak (When I Love You). Sung by Majida el-Roumi. Ana Min Dounak, Ana (I Am Without You, I am). Sung by Karol Samaha. Arabiyon Ana (I Am an Arab). Sung by Yuri Mrakadi. Arraib Layyi (Get Close to Me). Sung by Wael Kfouri. Atshana (I am Thirsty). Sung by Nagwa Karam. Ayeela Tayeha (Lost Daughter). Sung by Ahmed Adaweyya. ABOUT THE PHOTO: The photo shows Tahseen Alkoudsi, who contributed many of the Arabic-language translations to this web site. Bahebak wa Baghar (I Love You and Get Jealous). Sung by Assi el-Hellani. Bahlam Beek (I Saw You In My Dreams). Sung by Abdel Halim Hafez. Batwannes Beek (You're Always With Me). Sung by Warda. Bayinnina (It Is Clear to Us). Sung by Baha'a Sultan. Beni Wa Benak (Between You and Me). Sung by Hakim. Billadhi Askara (The Intoxicating Beloved). Sung by Feiruz. Bint el Arabia (Daughter of Arabia). Summary only. Bint El Shalabia (The Pretty Girl). Sung by Fairuz. Bint el Sultan (Daughter of the Sultan). Sung by Ahmed Adaweyya. Boussi Ba'a (Look Over Here). Sung by Sherine. Cleopatra (Cleopatra). Sung by Mohammed Abdel Wahab. Dalona (Dalona). Sung by Nawal al-Zoughbi. Digi Digi Ya Rababa (Play, Play Oh Rababa). Sung by Nadiha Yazbeck. Doubti Doub (Barely Melted). Sung by Ehab Tawfiq. Ed Hak (Laugh). Sung by Hanan. Eddam el Kel (In Front of Everyone). Sung by Darine Hadchiti. Efred Masalan (Assume, For Example). Sung by Hakim. Eina Ellayali (Where Did the Good Nights Go?) Sung by Asmahan al-Atrache. El Bango (Marijuana). Sung by Shaaban Abdel Raheem. El Bulbul (The Nightingale). Sung by Sabah Fakhri. El Helwa Di (The Sweet One). Sung by Dania, Sheikh Sayed Darwish, and others. Some recordings of this song identify it as "Cou Cou". El Hob El Ha'ee'ee (True Love). Sung by Mohammed Fouad. El Layali (The Nights). Sung by Nawal al-Zoughbi. El Tannoura (The Skirt). Sung by Fares Karam. Etmakhtari Ya Helwa Ya Zena (Walk With a Swinging Gait, O Beautiful, O Pretty One). Ezzai? (How Come?) Sung by Mohamed Mounir. Gafnouhou (Her Eyelashes). Sung by Mohammed Abdel Wahab. Gamil Gamal (Beautiful Dancer). Sung by Farid al-Atrache. Gana el Hawa (Love Has Come Our Way). Sung by Abdel Halim Hafez. Gawezohalo (Get Her Married to Him). Sung by Gawaher. Ghanili Shwaya Shwaya (Sing to Me Softly, Softly). Sung by Oum Kalthoum. Haad Yensa Alboo (Can Someone Forget His Own Heart?). Sung by George Wassouf. Habena (Love Us). Sung by Farid al-Atrache. 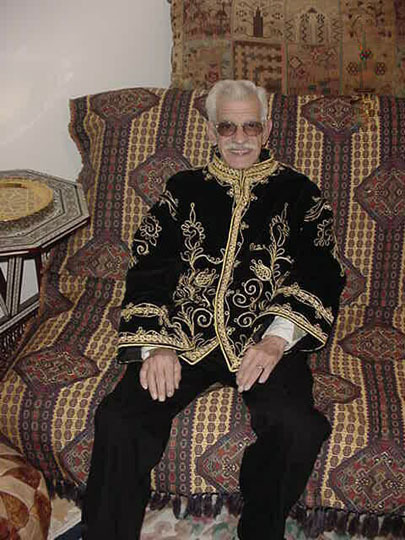 Habib el-Rouh (Soul Lover). Sung by Claudia Shmaali. Habibi Dah (That's My Lover). Sung by Hisham Abbas. The song title is listed in some places as "Nari, Narain." Habibi, Hayaati (My Darling, My Life). Sung by Baha'a Hosni. Habibi Ya Eini (Darling, O My Eyes). Sung by Nourhan. Habitek Bel Saif (I Loved You In Summer). Sung by Fairuz. Harramt Ahebbak (I've Given Up on Loving You). Sung by Warda. Hizzi Ya Nawaem (Shake It, Little Delicate One). Sung by Farid al-Atrache, George Abdo, and others. Huwwa Sahih el-Hawa Ghallab (Is It True That Love Is Irresistible?). Sung by Oum Kalthoum. Inte Habib A'Youni (You Are the Lover of My Eyes). 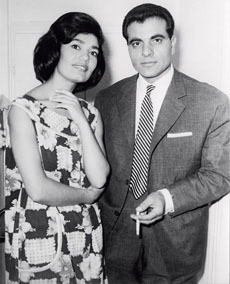 Sung by Maya Nasri And Hadi Khalil. Inte Omri (You Are My Life). Sung by Oum Kalthoum. Inzal Ya Gameel. Sung by Walid Toufic. Kalamangi (Talkative). Sung by Gawaher. Khalas (Liberated). Sung by Ehab Tawfiq. Khayyala (Fantasy). Sung by Pascale Machaalani. Kol Elli Lammouni (All Who Blamed Me). Sung by Zekra. Koul el-Kalaam (All the Talk). Sung by Mayez el-Buyaa. Koulli Sana Wi-Inta Tayyeb Ya Habibi (Happy Birthday, O My Darling). Sung by Gawaher. La Itkarraib Haddi (Do Not Get Close to Me!). Sung by Lara Dabbagh. La Titnahad (Do Not Sigh). Sung by Kazem Al Saher. Lamma Bada Yata Thana (When She Begins to Sway). This song is over 1,000 years old. Lamma B-Shoufak Qalbi Byouqaa' (When I See You, My Heart Falls Down). Sung by Pascale Machaalani. Laou (If). Sung by Mohammed Fouad. Laou Ma Dakhalt ib-Rassi (If You Had Not Entered My Head). Sung by Diana Haddad. Linda, Linda (Linda, Linda). Sung by Samir al-Tawil. Lissa Fakir (Do You Still Remember?) Sung by Oum Kalthoum. Lowlaaki (Without You). Sung by A'Ali Hamida. Ma Bi3od Balaki (I Can Not Sit Without You). Sung by Ilyas Karam. Ma Byilbaklak (It Does Not Fit You). Sung by Pascale Machaalani. Ma Gayartish Abadan (I Never Changed). Sung by El Amira Al Saghira. Maani, Maani (Mine, Mine). Sung by Diana Haddad. Maghroora (Arrogant). Sung by Wael Kfouri. Mateegy (Come!) Sung by Hakim. Mawwal Ya Hob (Ode to Love). Sung by Khalil Abboud. Me Alli We Oltelu (He Did Not Tell Me & I Did Not Tell Him). Sung by Farid al-Atrache. Meen Habibi Ana? (Who Is Your Sweetheart?) Sung by Wael Kfouri. Mihtagalak (I Need You). Sung by Warda. Min Aboukra L'Ashiye (From Morning 'Til Night). Sung by Emad Sayyah. Nahna Wil Amar Jiraan (We and the Moon Are Neighbors). Sung by Fairuz. Nassini el-Dunia (Let Me Forget the World). Sung by Ragheb Alama. Nawi Ta'Ateb (You Are Determined to Blame!). Sung by Amr Diab. Nibtidi Mneen al-Hikaya? (Where Do We Begin Our Story?) Sung by Abdel Halim Hafez. Nour el Ain (The Spark in My Eyes). Sung by Amr Diab. Noura Noura (Noura Noura). Sung by Farid al-Atrache, George Abdo, and Hamid El Shari. This page contains two translations done by two different people. Nubian Song. Sung by Ali Hassan Kuban. Ool Tany Kida (Say This Again). Sung by Nancy Ajram. Oolo (I Tell Him). Sung by Ahmed Abd el Mounim. Oolooloo (Tell Him). Sung by Abdel Halim Hafez. Osad Ainy (In Front of My Eyes). Sung by Amr Diab. Ouyoun Aalbi (My Heart's Eyes). Sung by Nagwa Karam. Parisien du Nord (Parisian of the North). Sung by Cheb Mami and K-Mel. Rouh Rouhi (Soul of My Soul). Sung by Nagwa Karam. 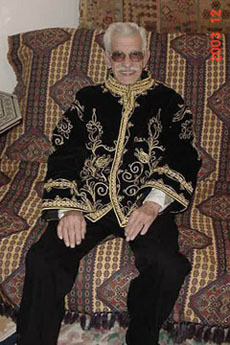 Sababeen el-Shay (Pourer of Tea). Sung by Elaine Khalaf. Sa'ban 'Alay (It Is Hard On Me). Sung by Katia Harb. Sabri Aleel (I Have Run Out of Patience). Sung by Sherine. Safir Ya Habibi Wirjaa (Travel, My Love). Sahertou Minhou el-Layali (Stay Up Late Nights). Sung by Soumaya Baalbaki. Sahraani (You Fascinate Me). Sung by Ehab Tawfiq. Salametha Umm Hassan (Get Well, Mother of Hassan). Sung by Ahmed Adawiyya. Sallam Alay (She Greeted Me). Traditional Egyptian song. Samahtak (I Forgave You). Sung by Asala Nasri. This is an entirely different song from the one titled "Samahtak" by Pascale Machaalani. Samahtak (I Forgave You). Sung by Pascale Machaalani. This is an entirely different song from the one titled "Samahtak" by Asala Nasri. Samara (Dark-Skinned One). Sung by Gawaher. Samra Ya Samra (Samra, Oh Samra). Sung by Karim Mahmoud. Sana Helwa Ya Gameel (Happy Birthday). Sung by Sabah. Sanateen Wana Hayyil (For Two Years). Sung by Khalil Abboud. Sawwah (Vagabond). Sung by Abdel Halim Hafez. Sayyidi Elra-Ees (My Master, Mr. President). Sung by Majida el-Roumi. Shaater (Clever). Sung by Diana Haddad. Shamandora (Dock Boy). Sung by Mohammed Mounir. Shatti Ya Dunya (Rain, Life, Rain). Sung by Fairuz. Shi Ghareeb (Something Strange). Sung by Julia Boutros. Shoo Imkhabbair Ahlak A'anni (What Are You Telling Your Family About Me?). Sung by Katia Harb. Shoo Sarlake (What Has Happened to You?). Sung by Hadi Younes. Sirt el Hob (Talk of Love). Sung by Oum Kalthoum. Tahtil Shibbak (Under the Window). Sung by Fatme Serhan. Talaa Men Beit Abouha (From Her Father's House). Sung by Nazem el-Ghazali. Talab Eiydi Min Ahli (We Became Engaged!). Sung by Pascale Machaalani. Talakik (Looking for Excuses). Sung by Hakim. Tamally Maak (I Am With You). Sung by Amr Diab. Tfarrak al-Halawa (Watch the Beauty). Sung by Metqal Qenawi. Tisslam Eidak (Bless Your Hand). Sung by Hisham Abbas. Tool Omri (All My Life). Sung by Nawal al-Zoughbi. Wah Wah Adanou Adanou. Originally sung by Abdel Muhsen Mhanna, later re-released by Walid Toufic. Wahashtiny (I Miss You). Sung by Khalid Agag. Wahdani (My Loneliness). Sung by Khalid Agag. Waili Min Zoulmake Liyya (Alas of the Oppression). Sung by Walid Toufic. Wala A'ala Baloa (Not Even On His Mind). Sung by Amr Diab. Walhanaih (Fascinated). Sung by Nagwa Karam. Wana Maali (Why Should I Care?) Sung by Warda. Wana Wana Amil Eh? (What to Do?) Sung by Hisham Abbas. Wehyat Eneyya (By the Life of My Eyes). Sung by Sabah Fakhri. Ya Ameer El-Mohibbean (O, Lovers' Prince). Sung by Ahlam. Ya Ana, Ya Ana (Oh Me, Oh Me). Sung by Fairuz. Ya Baheya (O Bahiyya). Traditional Egyptian song. Ya Bajat al-Rouh (You, The Pleasure of the Soul). Sung by Sabah Fakhri. Ya Jmaira (O Ej Maira). Sung by Nihad Najjar. Ya Majnoun. (O Madman). Sung by Asala Nasri. Ya Mayla al Ghousoune (You Who Are Leaning on the Tree Branches). Sung by Fairuz. Ya Mustapha (Oh Mustapha). Traditional song. Has been recorded by George Abdo and many others. Ya Ritni Tir (I Wish I Were a Bird). Sung by Farid al-Atrache. Ya Salam (Salute). Sung by Nancy Ajram. Ya Tamrahenna (O Tamrahenna). Sung by Fayza Ahmed. Ya Tayyeb el Galb (The Good-Hearted One). Sung by Abdul Majeed Abdullah. Ya Wail (What a Pity!) Sung by George Abdo. Yaho (Yaho). Sung by Hakim. Yalil, Yalil (La Fin Des Haricots) (Oh Night, Oh Night, The End of the Beans). Sung by Mickey 3D. Yama el Amar al Bab (Oh Mother, the Moon Is At the Door). Sung by Fayza Ahmed. Bir Demet Yasemen (One Bunch of Jasmine). Traditional Turkish song. Dere Geliyor (River). Traditional Turkish song. Çadırımın Üstüne (Rain Dripped on My Tent). Traditional Turkish song. Also often known as Rampi Rampi. Hepsi Senın Mi (Is It All Yours?). Sung by Tarkan. Istemem Babacım (Papa, I Don't Want To!). Traditional Turkish song. Kil Oldum (I Get Annoyed). Sung by Tarkan. Sallasana Mendilini (Wave Your Handkerchief). Traditional Turkish song. Şımarık (Spoiled Girl). Sung by Tarkan. Şişeler (Bottles). Traditional Turkish song. Tin Tin Tini Mini Hanim (Tiny Little Lady). Traditional Turkish song. Üsküdara Gideriken (When Going to Üsküdar). Sung by Eartha Kitt. Yine Sensiz (Again Without You). Sung by Tarkan. Farsi is the language of Iran. Gole Sangiam (Flower of Stone). Aman Aman (Yippee! Yippee!). Sung by Harry Saroyan. Jemilleh (Jamila). Sung by John Bilezikjian. Vartér (Roses). Sung by Harry Saroyan. Ah Moustafa! (Oh Mustapha). Placed online March 5, 2018. Den Se Lismono (I Haven't Forgotten You). Fige Apo To Mialo Mou (Get Out of My Mind). Isos Isoun Kiria (Maybe You Were a Lady). Mes Stis Polis to Hamam. (In the Constantinople Hamam.) This song is sometimes known by the title "To Haremi sto Hamam". Never on Sunday. (Ta Pedia Tou Pirea). O Salonikios. (The Salonika Man). Ouzo Otan Peeis (Diki mou ine ee Ellas). S'Agapo ke Hanome. (I Love You and Get Lost). Siko Horepse Koukli Mou (Get Up and Dance, My Doll). Also sometimes called Nina Nai Nai. Stin Agora Tou Al Halili (In the Khan al-Khalili Market Place). Ta Mavra Matia Sou (Your Black Eyes). Ta Pentoxiliara (The 5,000 Drachmas). Theos Mou Eisai (You Are my God). Tien Afto? (What Is This Thing Called Love?). Ti Lozani Ti Kozani (What's the Difference Between Lausanne and Kozani?). Placed online March 1, 2018. To Haremi sto Hamam. (In the Constantinople Hamam.) This song is sometimes known by the title "Mes Stis Polis to Hamam". Zito Ta Paraloga. (Long Live the Absurdity). ABOUT THE PHOTO: The people in the photo are legendary Greek rebetiko singers Stelios Kazantzidis and Marinella. Mayim Mayim (Water Water). This song is sometimes called "U'Shavtem Mayim" or just "Mayim"
Zemer Atik (An Ancient Song). This song is also often called "Nigun Atik". Misirlou (French version). Sung by Dario Moreno. Placed online March 11, 2018. Die Zuckerpuppe aus der Bauchtanztruppe (The Sugar Doll from the Belly Dance Troupe). Sung by Bill Ramsey. Little Egypt (Ying Yang). Sung first by The Coasters, later by Elvis Presley. Misirlou. The English version from 1941. See the section for Greek lyrics above for the original Greek version from 1927. Stop Stop Stop. Sung first by The Hollies, later by Boiled in Lead. Dance with Adam Basma Middle Eastern Dance Company. Performed by Adam Basma Dance Company. Eye On The World. Performed by Brothers of the Baladi. Sirocco Volume 1 Performed by Sirocco. F'il Waha. Performed by Helm. Live At The WOW. Performed by Americanistan. Fire Dance. Omar Faruk Tekbilek & Briane Keane. A Time Of Peace. By Brothers of the Baladi. Christmas: Rhythms of the Holy Land. By Desert Wind. A Near Eastern Music Primer. By Mimi Spencer. The Gems Songbook. By Mimi Spencer. Sadika's Tunes. By Mimi Spencer. Gems Instrumental Pieces. By Mimi Spencer. Gems of the Middle East, Volumes 1, 2, and 3: A Rhythmical Analysis. By Mary Ellen Donald. Arabic Music & Songbook: A Collection of Arabic Traditional Songs, Folk Songs, & Instrumental Compositions. By Joseph Fakhouri. The Golden Translator, Volumes 1, 2, and 3. By George Moawad. Mastering Finger Cymbals. By Mary Ellen Donald. Crossing the Bridge: The Sound of Istanbul. By Fatih Akin. JVC Video Anthology of World Music and Dance, Middle East and Africa I, Volume 16, Turkey / Iran / Iraq / Lebanon / Qatar. By Smithsonian Folkways. JVC Video Anthology of World Music and Dance, Middle East and Africa II, Volume 17, Egypt / Tunisia / Morocco / Mali / Cameroon / Zaire / Tanzania. By Smithsonian Folkways. JVC Video Anthology of World Music and Dance, Middle East and Africa III, Volume 18, Chad / Cameroon. By Smithsonian Folkways. JVC Video Anthology of World Music and Dance, Middle East and Africa IV, Volume 19, Ivory Coast / Botswana / Republic of South Africa. By Smithsonian Folkways. Latcho Drom. By Tony Gatliff. Life Story of Fairouz. By EMI Arabia. Music of the Middle East. By the State University of New York in Binghampton. Umm Kulthum - A Voice Like Egypt. By Michal Goldman. We Loved Each Other So Much. By Jack Janssen. 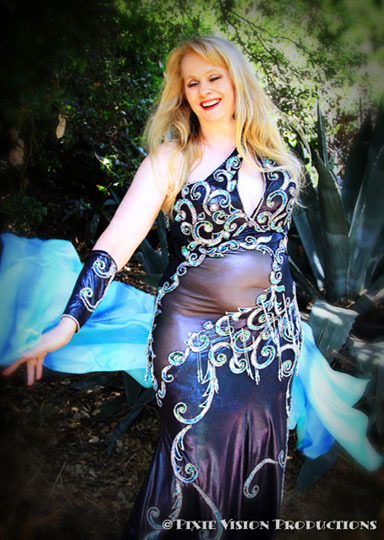 Bellydance Live, Part 1 - Introduction to Music & Rhythms. By Keti Sharif. Habibi, You Are My WHAT?! Leyla Lanty's Essential Arabic for Dancers - Volume 1. By Leyla Lanty. Doumbek Technique & Rhythms. By Amir Naoum Chehade. Volume 3, Oriental Rhythms. By Hadia. Basic Rhythms for Arabic Drum, Volume 1 (Revised Edition). By Uncle Mafufo. Riqs and Defs: A Practical Approach. By Uncle Mafufo.